The names of W.C. Fields, Fred Allen, Jimmy Savo and Joe Cook remind us that juggling can be a springboard to further success in entertainment. 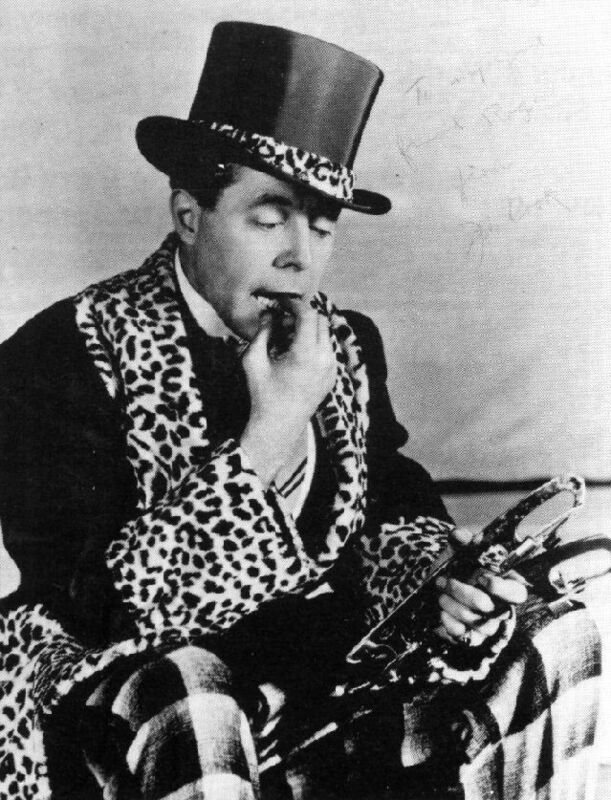 All of the above started as jugglers in vaudeville and went on to become more famous in musical comedies, radio, film or television. Joe Cook was born in Evansville, Indiana, in 1890. His real name was Joseph Lopez and he took the name of Cook from the family that raised him after the death of his parents. He first worked with his brother in an act called "The Juggling Kids." As a single, he appeared at Proctor's 125th Street Theater in July 1907. But he quickly began to expand his talents and entertain with a broader range of skills. A 1909 advertisement reads, "Master of all trades. Introducing in a 15-minute act, juggling, unicycling, magic, hand balancing, ragtime piano and violin playing, dancing, globe rolling, wire-walking, talking and cartooning. Something original in each line -- Some Entertainment." In addition to vaudeville, Joe Cook appeared on stage in "Hitchy-Koo" (1919), in Earl Carroll's Vanities (1923), "Rain or Shine" (1928), "Fine and Dandy" (1930), "Hold Your Horses" (1933), on radio in the '30s and in "It Happens On Ice," the first of the ice shows (1940). The city of Evansville, Indiana, thought so highly of his accomplishments that it erected a monument to him, the only time a living American was so honored. In 1942 Joe Cook was stricken with Parkinson's disease. In 1954 his wife, Alice Cook, ordered six juggling balls and wrote, "As Joe is going to be 65 this March 29 I would like to surprise him with six new balls to work with. Despite his Parkinsons and the fact that he has trouble even handling his food alone, believe it or not, he can still juggle the balls." Joe Cook died in Staatsburg, New York on May 16, 1959.